Calena Roberta Drinkwater Cook, 94, formerly of Dayton, died Sunday, April 7, 2019 at St. Francis Nursing Home, Tiffin. Roberta was born on April 3, 1925 at home in rural Seneca County near Fort Seneca. She attended a one-room schoolhouse in Pleasant Township, until her family home was moved into town to Coe Street, where it remains. Roberta graduated from Tiffin Columbian in 1942 and moved to Dayton to work at Wright Patterson Air Force Base thereafter. At the Base, she met and later married Robert J. Cook on May 21, 1955 at Grace United Methodist Church. They had one child, Diana. Roberta remained in Dayton until she became ill and moved to Tiffin to be with her daughter, son-in-law, and niece, Becky, who cared for her until her death. Throughout her life, Roberta loved to travel with her family and friends having visited every US state, all but one Canadian Province/Territories, Mexico, and some Caribbean Islands. She was an avid skier and many vacations were spent on the slopes out West. Roberta taught her daughter to love the out-of-doors and all its creatures, and their home was regularly filled with rescued dogs and cats. 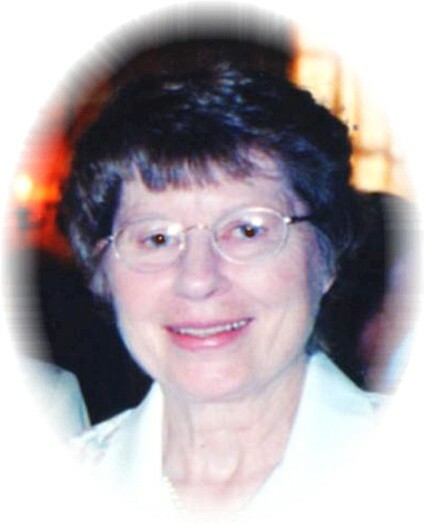 She was a lifelong University of Michigan fan and enjoyed attending football games. Roberta had an active social life in Dayton and particularly enjoyed playing cards with her friends. She was a lifelong member of Grace United Methodist Church and the Mayflower Society, and helped in her community serving where she could. Roberta loved her family and lived to be a great-grandmother to Maxwell James Champa, born March 28, 2019. She is survived by a legacy of love through her daughter, Diana Kiser (Jerome) of Tiffin; granddaughters Emily Champa (Andrew) of Cincinnati; Elizabeth Cramer of Columbus; nieces Rachel Fowler (Hank) of Evanston, IL; Rebecca Dunkelberger of Tiffin; great-niece Michelle Schroeder (William) of Chicago; nephews John Dunkelberger of Urbana, IL; Robert Dunkelberger (Andrea) of Bloomsburg, PA; Richard Dunkelberger (Diane) of Groveport, OH; and great-nephew Kevin Dunkelberger of Groveport, OH. She is preceded in death by her husband, Robert J. Cook, sisters Mary Drinkwater, Arlene Dunkelberger, and parents Rex and Rachel (Kiens) Drinkwater. Roberta will be dearly missed. A memorial service will be held at a later date at Old Trinity Episcopal Church in Tiffin, OH, and in Dayton, OH. Donations may be made to Best Friends Animal Society, https://bestfriends.org, or to a charity of the donor’s choice.